by Bruce Febvret, PV-EIS Task Force Member, Cimetrix, Inc. Historically, the Photovoltaic (PV) industry has been governed by de-facto standards from dominant players or by no standards at all. However, within the last couple of years, the industry has begun exploring the implementation of equipment-level standards in an effort to increase productivity and decrease operational costs. The SEMI® organization has been a big promoter of the creation and use of standards for this market with the hopes of expanding the growth and profitability of the relatively-new industry. 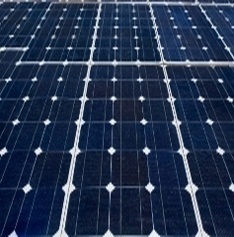 Several SEMI-driven special interest groups and task forces are focused on this effort, including the SEMI Photovoltaic Committee and the PV Group. The PV-EIS Task Force was formed in September 2007 in Milano with the sole purpose of defining the interface between the equipment and the Manufacturing Execution System. The committee is led by co-chairs, Thomas Vonderstrass of Solarworld Industries USA and Mathias Glaser of Manz Automation AG; and coached by Stefan Rein of Fraunhofer ISE and Matthias Meier of Fraunhofer IPA. Members of the task force, including representation from PV manufacturers, Equipment Manufacturers, Third-Party Software Providers and Research Institutes met this September in Valencia to further discussions regarding developing a standard for this industry and use. Prior to the meeting in Valencia, several existing standards, including SECS/GEM, EDA, OPC-UA, and some company-specific interfaces, were evaluated based on functionality, reliability, extendibility, and the ability to be integrated in different environments. The considerations were narrowed down to SECS/GEM and a new XML-solution. A benchmark analysis showed not much difference in the implementation between the two options. An already mature standard, SECS/ GEM provided more initial functionality and faster time to market. In Valencia, the task force decided to submit a yellow ballot and has begun drafting a guide standard for the host interface of PV equipment based on SECS/GEM. Technical ballots are used by SEMI Standards as the initial step of the technical content review process for documents under development. This is considered a major push toward formal approval before the actual publishing of a new or revision of a SEMI Standard. The group's draft for yellow ballot will be submitted in October and feedback is expected by mid-November. Supporters of the proposed standard believe that its acceptance will be an improvement for the industry, reducing integration costs dramatically. Many semiconductor equipment manufacturers that include PV in their product mix have already begun utilizing the existing SEMI SECS/GEM standard for equipment connectivity for this reason. Hans-Peter Jakob, head of software development for centrotherm, is "very glad to see the collective work which has happened in the PV-EIS taskforce over the last year and pleased about the decision to adopt the GEM standard in PV." Further, Mr. Jakob stated, "It is critical for us, an equipment manufacturer, to have a single equipment interface to support and the PV industry is moving so fast that it cannot wait any further to develop another standard from scratch." Cimetrix has been involved in the PV-EIS Task Force since its inception. A world-wide software supplier to the semiconductor industry, Cimetrix is an expert in the SEMI connectivity standards and has already been working with members of the PV industry, such as centrotherm, to utilize its products to implement the SECS/GEM standards.